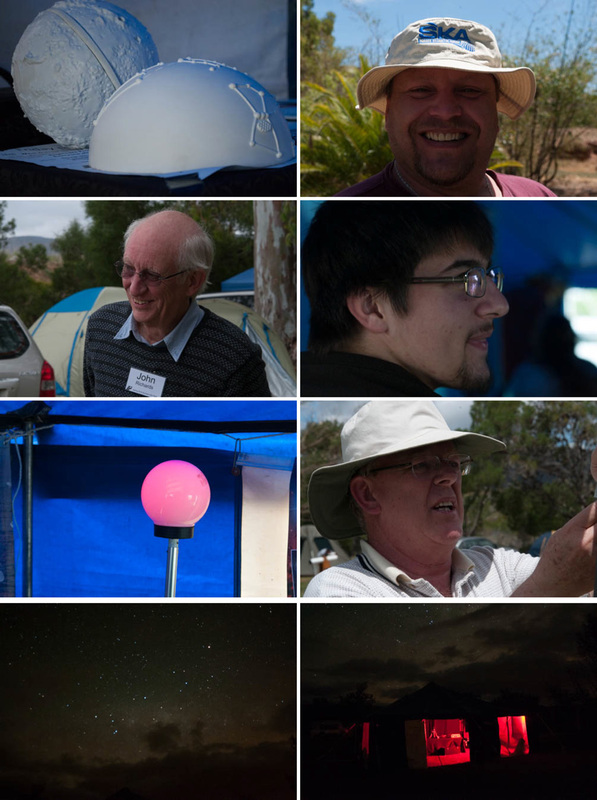 The 12th SSP was held at Night Sky Caravan Park, Bonnievale, South Africa, from 26 to 31 October 2016. Rene Auras, Tyron Auras, Deon Begeman, Ronelle Begeman, Dominique Brink, Johan Brink, Nellie Brink, Alan Cassells, Rose Cassells, Pamela Cooper, Lynn Court, Caitlin Cupido, Caycee Cupido, Gavin Cupido, Karin de Bruin, Chris de Coning, Andre de Villiers, Pierre de Villiers, Wanda Diaz-Merced, Barry Dumas, Miemie Dumas, Arnè Esterhuizen, Iain Finlay, Chris Forder, Edward Foster, Lynnette Foster, Louis Fourie, Peter Harvey, Susan Joubert, Robert Ketteringham, Evan Knox-Davies, Bennie Kotze, Nicolas Kröner, Thomas Kröner, Paul Kruger, Anna Kunz, Ruth Kuys, Lee Labuschagne, Martin Lyons, Eddy Nijeboer, Jannie Nijeboer, Laura Norris, Peter Norton, Marius Reitz, John Richards, Leslie Rose, Rogan Roth, Auke Slotegraaf, James Smith, Lena Smith, Herman Steyn, Kiona van der Merwe, Corne van Dyk, Juanita van Rensburg, Chris Vermeulen, Wendy Vermeulen and Abigail Zwartz-Cupido. 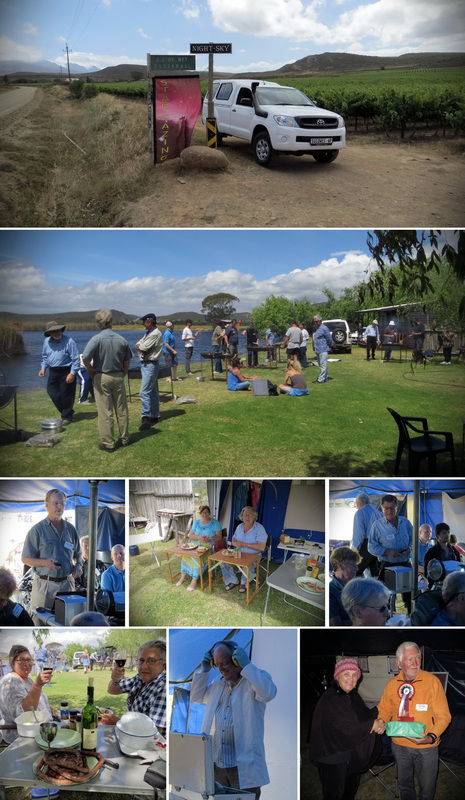 Several party-goers took good advantage of the extended dates; Eddy & Jannie Nijeboer, Barry & Miemie Dumas, Louis Fourie, Auke Slotegraaf, Amar Sharma, Alan & Rose Cassells, and Edward & Lynnette Foster will be staying 5 nights or more. 18:00 Meet & Greet in the Social Tent; introduce yourself to everyone while enjoying a cup of coffee (or tea). 18:30 Prepare for the night’s observing. Constellation Exploration (ConEx) participants, please make sure your telescopes are set up in the special designated area. 19:30 If you registered for the Beginners Programme, meet with Edward and Lynnette in the Social Tent; don’t forget your chair. Everyone else, join Auke in the Telescope Area for the What’s Up Tonight. Remember to bring a chair. 20:30 If you registered for the Deep-Sky Challenge, then go at it! If you registered for ConEx, join Auke in the Telescope Area. Everyone else, enjoy the night’s observing, socializing, and chilling! 00:00 Beginners Programme for Friday ends. 00:30 Round #2 of Constellation Exploring in the Telescope Area. 08:30 Beginners Programme resumes in the Social Tent. 10:30 Tea & coffee in the Social Tent. 14:56 Lucky Draw – but only if you’re in the Social Tent on time! 16:30 Group photo outside the Social Tent. 17:30 Demonstration: How to clean eyepieces. 17:45 World Famous SSP Pub Quiz in the Social Tent. 19:00 Instructions on setting up and using telescopes for newcomers. 19:30 Supper and prepare for the night’s observing. 20:30 Constellation Exploration resumes in the Telescope Area. 03:30 Deep-Sky Challenge ends. Find Auke in the dark, with your notes! 09:00 Tea & coffee in the Social Tent. 10:00 Farewell until next time! • 2017 Spring SSP, October 18 – 23. 10:00 Social Tent will be taken down. 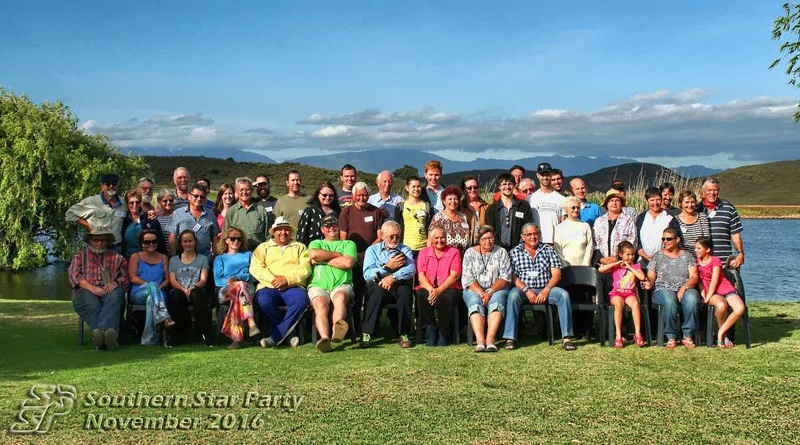 The SSP is a star party - a gathering of stargazing enthusiasts - held in South Africa, somewhere in the Western Cape, twice a year. 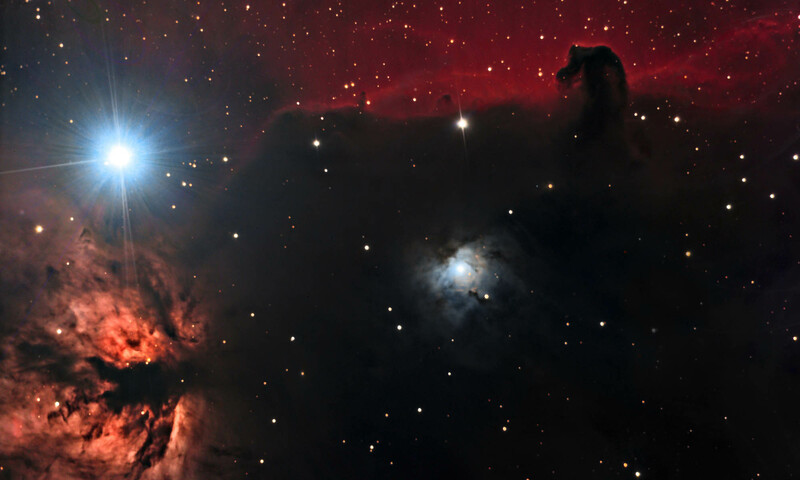 Events and activities include talks, workshops, guided observing sessions, astrophotography practicals, the famous SSP AstroQuiz, and lots of opportunity to socialize and share the night sky.